The Canadian rock band is a 2018 Radio Music Awards winner and Canadian Gospel Music Association Covenant Award Nominee. TORONTO, ON, CANADA, December 4, 2018 /EINPresswire.com/ — Canadian rock band Across The Board wins Best Rock Song at the 2018 Radio Music Awards for their single, Sonic Boom. Powered by Indie Music Channel, the Radio Music Awards recognizes independent singers and bands from around the world who have achieved the outstanding accomplishment of receiving terrestrial, satellite, and/or internet radio airplay for their music, in spite of not being signed to a major record label. 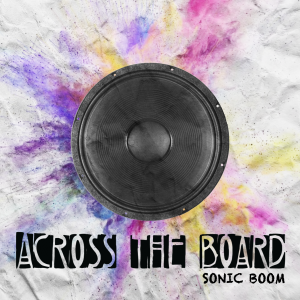 Across The Board is also up for a Covenant Award, with their album Sonic Boom nominated for Pop / Rock Album of The Year at the 40th Annual Covenant Awards. Presented by GMA Canada, the Covenant Awards is Canada’s national awards for the Canadian gospel music industry. The 40th annual awards are scheduled to be presented on January 24, 2019 in Edmonton, Alberta. “Having grown up in rural Alberta, I've been exposed to gospel music my entire life and it plays a huge role in my songwriting and the lyrical messages that I try to bring to our music," comments Jacqueline Auguste, frontwoman and principal songwriter of Across The Board. With over 500 YouTube videos, three albums and sold-out shows across the country, Across The Board has gained a global following. The recipient of several independent music awards and nominations including two gold medal Global Music Awards, four Josie Music Award nominations, and an Indie Music Hall of Fame award, Across The Board has immense online and terrestrial radio airplay, even reaching #4 on the Canadian iTunes Rock Charts with the title track of their album, Sonic Boom. The 2018 Radio Music Award is Across The Board's fifth award win, with their Covenant Award nomination as their fifth award nomination to date. 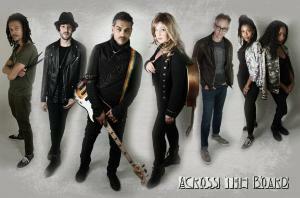 Across The Board is an award-winning Canadian rock band from Toronto, Ontario. Formed in 2013, Across The Board quickly gained popularity with their YouTube cover series Pick Up and Play (now with over 500 videos on YouTube), imprinting their unique and innovative musical style and videography on both contemporary and classic rock songs while featuring other local artists as guests. Across The Board includes founding members Jacqueline Auguste (lead vocals/lead guitar) and Andy Ramjatten (guitar/percussion), with supporting members Martin Heller (keyboards), Ryan Sousa (drums), Ben Healey (guitar), Tasha Henry and Shezelle Weekes (backing vocals). Across The Board’s debut album, Jane On Fire, was released in 2016 to critical acclaim with their second record and EP, Amends, following in 2017. 2018 brought along their third record and album, Sonic Boom. Sonic Boom has achieved two gold medal Global Music Awards, while also receiving nominations for four Josie Music Awards. 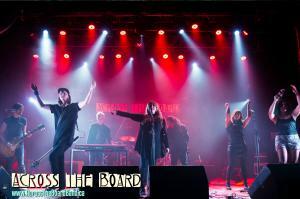 Across The Board is a recipient of the Indie Music Hall of Fame and the title track off Sonic Boom reached #4 on the Canadian iTunes Rock Charts in September 2018.